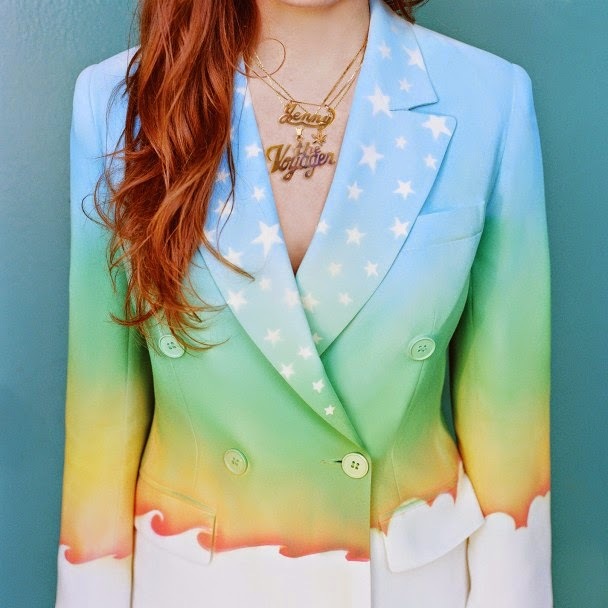 It's been over five years since we had a new solo album from former Rilo Kiley singer Jenny Lewis. Now she's returned with her third record, the Ryan Adams-produced The Voyager. There's a hangover from Lewis' underwhelming Acid Tongue record that takes a while to shake off. The insipid pop of "Head Underwater" and the humdrum arrangement "She's Not Me" detract from what are some very personal and clever lyrics. Just when The Voyager has you praying for a reuniting with The Watson Twins, Lewis piques your interest with the melodic and twangy "Just One of the Guys". The trip down the dirt road continues with the simple countrified "Late Bloomer". A ominous dark layer is added to that mix for the slightly eerie "You Can't Outrun 'Em". The title track rounds out the sound with an orchestral piece. The tempo picks up on a handful of tunes. The heavier guitars on "Slippery Slopes", and the peppy rock of "Aloha & the Three Johns" and "Love U Forever" provide the diversity needed to keep the listener on their toes. Lewis still has to match the promise of her debut Rabbit Fur Coat, but The Voyager definitely steers the ship back in the right direction. Best tracks: "Just One of the Guys", "Love U Forever"